Two Chicks On Books: Blog Tour- ENSNARED BY A.G. Howard and a Giveaway! 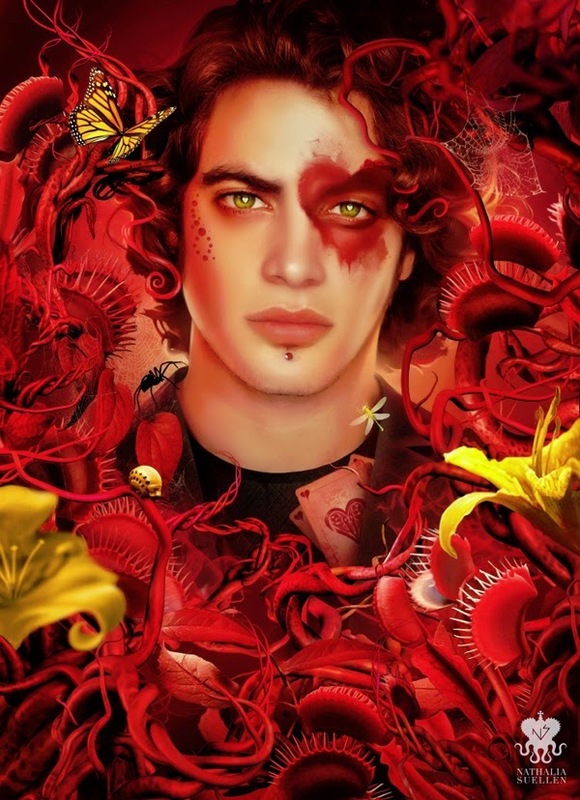 Blog Tour- ENSNARED BY A.G. Howard and a Giveaway! Hey y'all! I have an awesome stop for you today, a convo between Jeb and Jenara from A.G. Howard's Splintered Series! The book comes out in January so make sure to pre-order your copy. Oh and make sure to stick around and enter the epic giveaways! Haven't heard of ENSNARED Check it out! After surviving a disastrous battle at prom, Alyssa has embraced her madness and gained perspective. She's determined to rescue her two worlds and the people and netherlings she loves. Even if it means challenging Queen Red to a final battle of wills and wiles . . . and even if the only way to Wonderland, now that the rabbit hole is closed, is through the looking-glass world--a parallel dimension filled with mutated and violent netherling outcasts. In the final installment of the wildly popular Splintered trilogy, Alyssa and her dad journey into the heart of magic and mayhem in search of her mom and to set right all that's gone wrong. Together with Jeb and Morpheus, they must salvage Wonderland from the decay and destruction that has ensnared it. But if they succeed and come out alive, can everyone truly have their happily ever after? Welcome to day two of the Ensnared in a Winter Wonderland Tour! Today, Jeb and his sister, Jenara, are sitting at their kitchen table, discussing book three and the significance of harlequins, monarch butterflies, and cameos. Jenara: *green eyes twinkling mischievously* Aw, come on. 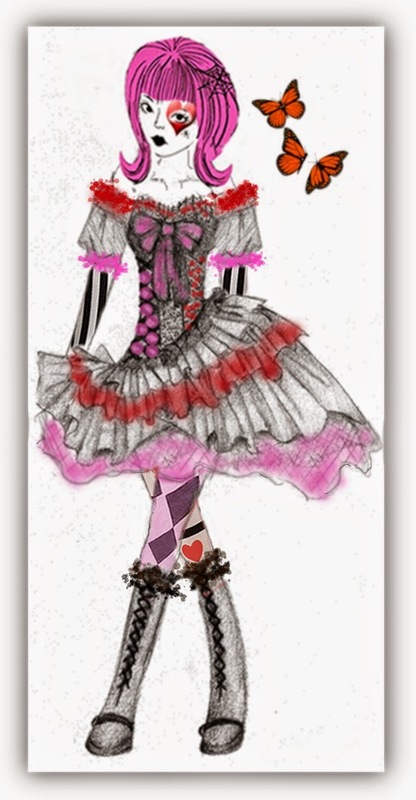 You looked hot as an elfin-harlequin. All the girls are swooning over the cover. Doesn’t that make it worth it? Jeb: *pushes her sketch back across the table and raises an eyebrow* There’s only one girl I want to impress. Jenara: Right. As I recall, Al was drooling all over you when you came home from the shoot . . . pretty sure her elfin worship continued after you shut your bedroom door, considering how smeared your makeup was when you two came back out. Jeb: *slants a gaze at his cover art, smiling* No comment. So, what’s the favor? Jenara: Well, seeing as you have such a big part in the story this time around, I was wondering if there’s any way you could pull some strings and get me in? I could play your zany harlequin twin. We’ll be the foils to the creeper Twid Sisters. Tell your publisher I’ll make our costumes, free of charge. Jeb: *taps a thumb against the table* You don’t understand, J. There’s nothing funny about this harlequin role. I’m not sure you’d like the gory aspects of it. I even had a little trouble myself. And Al totally freaked out until she got used to it. *looks thoughtful, then green eyes light up* But . . . there may be another way to fit you in. Even Mom, if you’re both willing to settle for a cameo? And no costumes required. Jenara: *grinning ear to ear* I’ll take whatever I can get. Jeb: *grins back* Okay. But remember . . . you asked for it. Jeb: It should. Because AnyElsewhere is one of the vilest worlds I’ve ever seen. Jenara: *gulps* Just promise me there won’t be any bloodshed in our cameo. Jeb: *frowns tentatively* I can promise you won’t mind it if there is. Jeb: *shakes hands* Awesome. How about, to seal it, you make us some of Mom’s famous chocolate chip cookies, huh? *narrows eyes and pauses* Oh. Wow. Jeb: I just thought of a way for Mom’s cookies to have a cameo, too. Jenara: *frowning* How is it possible for food to have a cameo? Also, don’t forget, for the domestic participants, you can try for a chance at 10 Ensnared hardbacks! Check out the rafflecopters below for entry options, and see you tomorrow at All the Write Notes for day three of the tour where I’ll be revealing four songs from the Official Ensnared playlist, along with more chances to win! Thanks for sharing Jeb and Jenara I love it when you guys visit!!! (10) winners will receive a hardcover of ENSNARED. US Only. 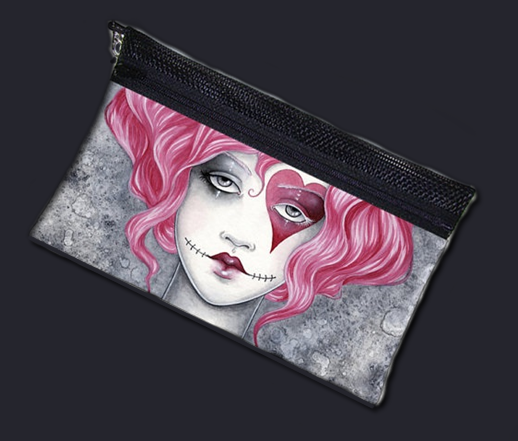 (1) winner will receive the harlequin/ragdoll zippered bag INTL. I honestly can't wait to read this book!! (: So excited! LOVE the SPLINTERED series! And I agree, Jacklynn...can't WAIT for ENSNARED! YAY! Ahhh cant wait to keep reading more!!! 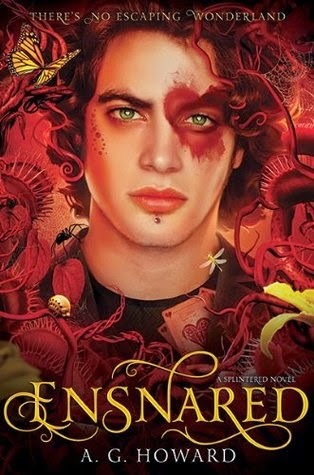 Yay ENSNARED!! I cannot wait for the world to get their hands on this one. Can't wait to get my hands on its smooth cover :) The need to read this book is making me crazy!!! I am DYING to get my hands on this book! Thanks for the giveaway! Ahhhh! I cannot wait to get my hands on this book. I need more Morpheus! And I love these covers...so gorgeous! Ugh i need Ensnared NOW! I love her books especially Morpheus c: These covers are so gorgeous! This is clearly not my day (I'm trying to work)! I'm U.S., but I partially entered the international giveaway too. Sorry. I loved the first book and I can't wait to read the other two! Thanks! And that drawing of her is awesome. I love it. This is going to be so gooooood!!!!! I CANT CHOOSE BETWEEN JEB AND MORPHEUS! I have an Alyssa problem on my hands. One month to go. I can't wait to read this book! SOOOOOOO EXCITED! Ever since I finished Unhinged, I've been craving this book BAD! I love all of the creepy, mad characters. Plus, I adore the zippered bag! So fun! I can't wait to read this! All the covers are beautiful!!! So excited for this book!! I can't wait to read this book, but I hate for the series to end. Thanks for the giveaway. This series is awesome. I love being able to connect with mythological characters. Loooved reading that convo, but it's making the wait for the book sheer torture!!! I haven’t gotten to Unhinged yet, but Splintered was SO GOOD. Can’t wait to read the rest of the series :D thanks for the great giveaway! I am so excited to read Ensnared! I honestly stumbled across your books by accident Splintered showed up in my mail as a mis-sent book I paid for it and read it. I fell in love! Unhinged was next and the love still flows. Thank you for an amazing set of books! I loved the interview. the bag is gorgeous! Thank you so much for the giveaway! I AM ABSOULUTELY IN LOVE WITH THIS TRILOGY... THANK YOU A.G. HOWARD FOR CREATING SOMETHING SO AMAZING! I really enjoyed the first 2 books and I can't wait to read this one. I can't wait to read this! So excited for it to finally be on my shelves! Excited for this, so that I can finally binge read this series. I want to read this one so badly! Thanks for the giveaway! These books have the most awesome covers! I have a huge Alice In Wonderland obsession, but this series is by far one of my favorite interpretations/retellings. I can't wait to read more! Two Chicks on Books Turns 4! And a Giveaway!!! Month9Books Holiday Gift Blitz and a Giveaway! Blog Tour: LIFER by Beck Nicholas and a Giveaway! Top 10 of 2014 Reminder! Month9Books 4 For Friday and a Giveaway! 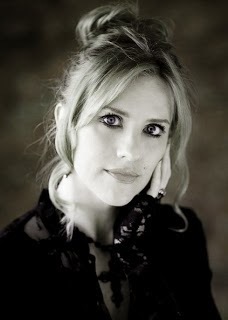 Interview with Morgan Rhodes and a Giveaway!